In 2013, Burke's took our ongoing work with cutting-edge education and created two dedicated maker spaces on campus — together, they're known collectively as the Makery. Each space is home to numerous supplies and technologies — including 3-D printers, laser cutters, and much more — perfect for the exact kind of tinkering and brainstorming that 21st-century learners need to master in order to solve the kinds of problems plaguing our society. After all, with all of the knowledge contained in all of the world's libraries accessible in the palm of your hand, students need to go further than rote memorization of facts. What are they going to do with that information? And in the last four years, we've noticed something incredible: The spirit of the Makery has permeated through all grade levels and subject areas, broken out of its physical space and reached the far edges of the Burke's campus. Our students — and their teachers — feel free to try out their ideas and make mistakes, collaborate and work together, and be as creative as they can be, no matter what they happen to be studying at the time. We call this effect the Makery Mindset. The Makery Mindset has no fear. 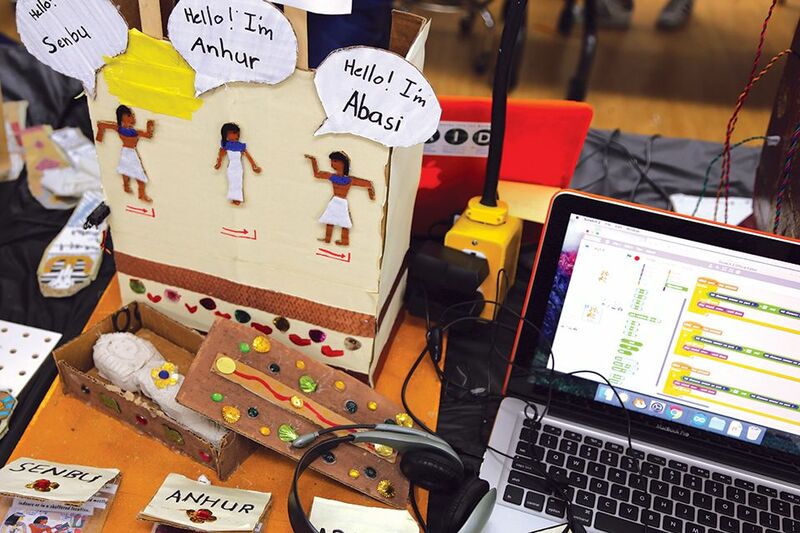 It begets projects that are culturally rich and customizable to reach any student, no matter her learning style. It brings students from different grades together to work on subjects they're all studying at the same time. It works on the floor, or outside, or inside a classroom with walls that come down at the snap of a finger. This approach has caught the attention of thought leaders in education worldwide. Burke's has hosted educators from Singapore, Taiwan, and across the United States on campus, as they were looking to establish maker spaces of their own. 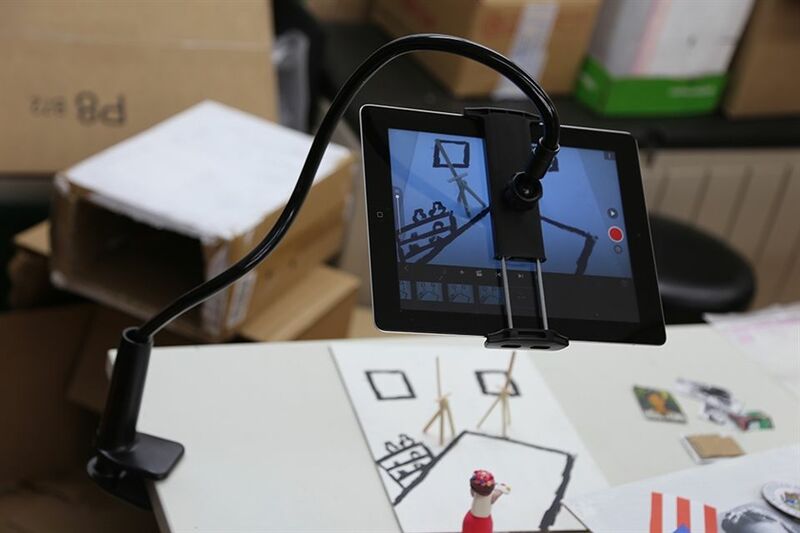 Burke's teachers have presented at conferences such as #SXSWedu, the International Society for Technology in Education, and the National Association of Independent Schools. We have also caught the attention of media outlets near and far, including this video by The Economist, which chose Burke's Week of Code as the setting for its piece on CODE.org founder Hadi Partovi. So while you can examine our curriculum strictly by grade level and subject area, that's not what we would recommend. Because at Burke's, there's no one set path from kindergarten through eighth grade. Students learn to be nimble and independent, and they graduate ready to take on whatever awaits them next. What Materials Are Available to Students? In fifth-grade Humanities, small groups of students tackle specific questions about the ancient Egyptians (such as: "What roles did women play in Egyptian culture?") and then plug their research into interactive exhibits. Handmade dioramas are outfitted with mechanical elements, which are coded to prompt audio descriptions that the girls record themselves. 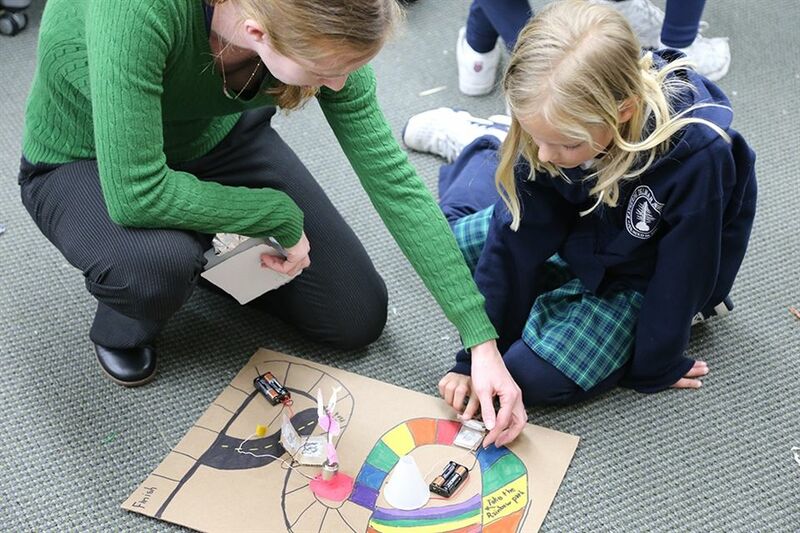 Each year, the third grade takes its study of circuits and simple machines to put together a variety of ingenious inventions. Among them can be board games, cleaning devices, art-making machines, and a hat that tells you when a car is coming! Click here for more photos from the most recent Circuit Circus. After teachers participated in an improv workshop, fifth-grade advisors saw an opportunity to teach the skills they practiced to their students. 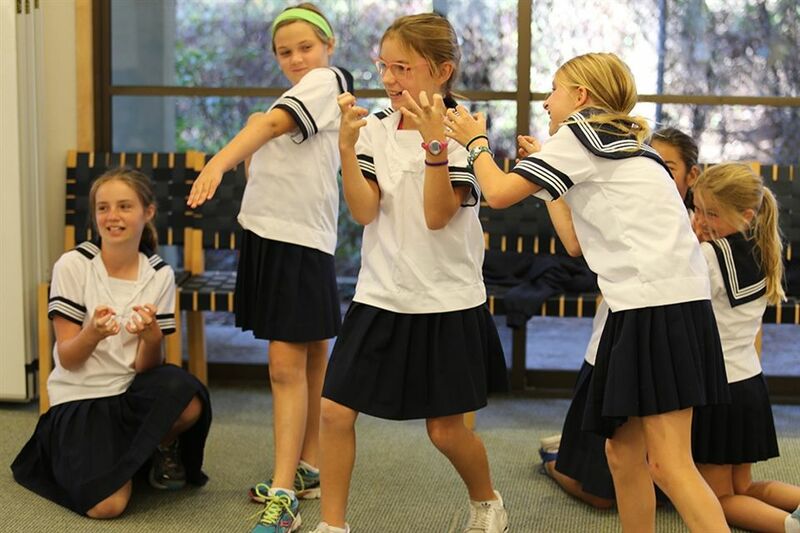 The fifth graders worked with members of BATS Improv on several exercises that helped them develop "yes, and..." thinking and help them learn how to become more nimble and adaptable. 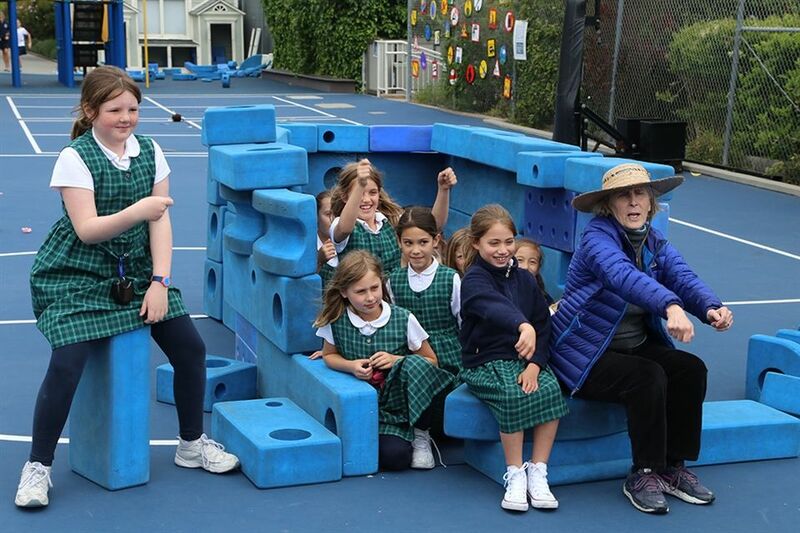 Third graders learn each year about the native peoples of the Bay Area, including the Ohlone. In the 2016-17 school year, that curriculum spread to P.E. Teachers researched traditional Ohlone games and adapted one for students to practice on the front field. 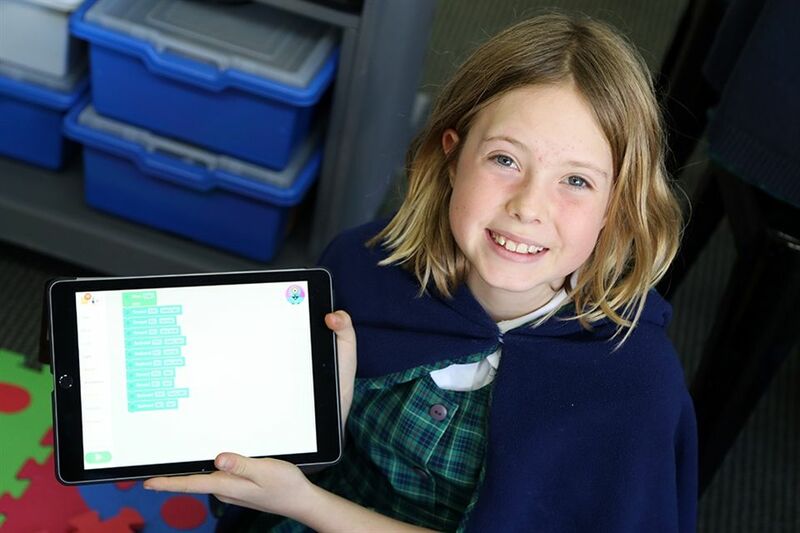 Every December, Burke's expands CODE.org's Hour of Code into a full week of computer-science activities throughout grade levels and subject areas. We do this not because we expect every girl to go into computer science, but because developing those skills — logic, problem-solving, etc. — will serve each of our students no matter what she decides to do. 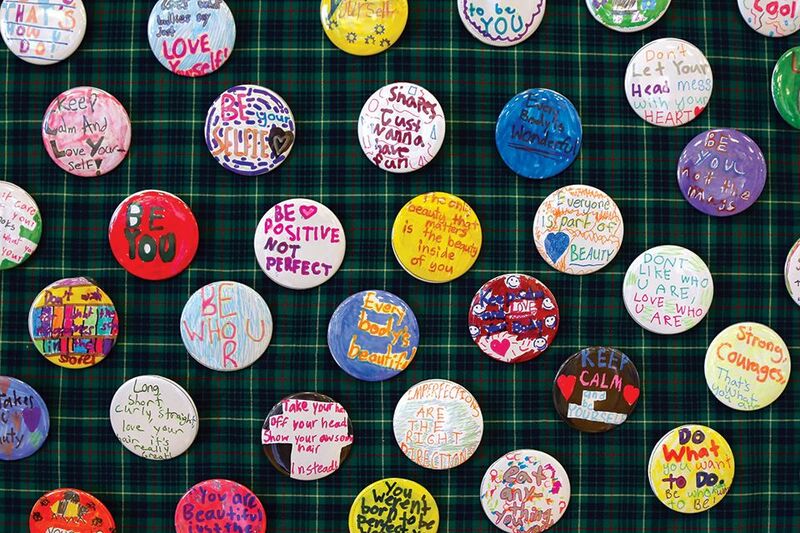 In Lower School art, fourth graders crafted positive body image buttons — all of which contained messages like “I’m size awesome!” — which were then displayed in the Library. 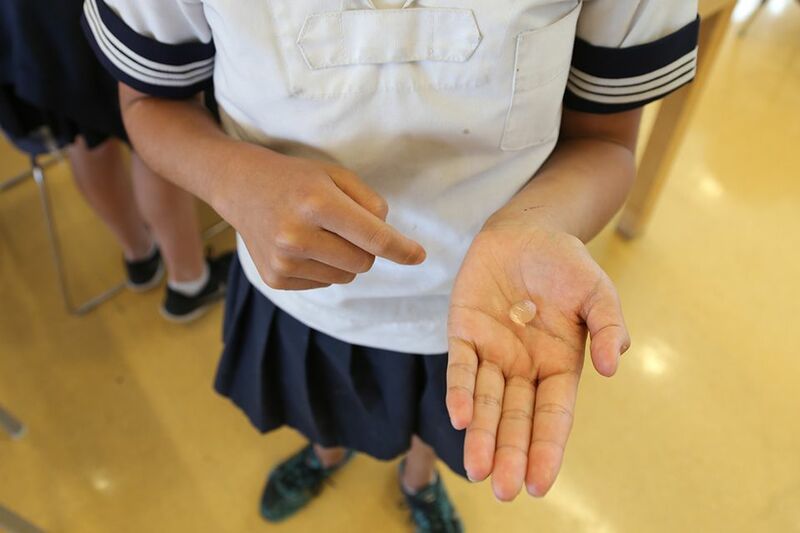 The lesson was designed to help students deconstruct the messages society sends girls about their bodies. This spring, sixth graders created self-contained water containers (a.k.a. plastic-free water bottles) using mixtures of sodium alginate and calcium lactate. The odd texture led to some delighted reactions! 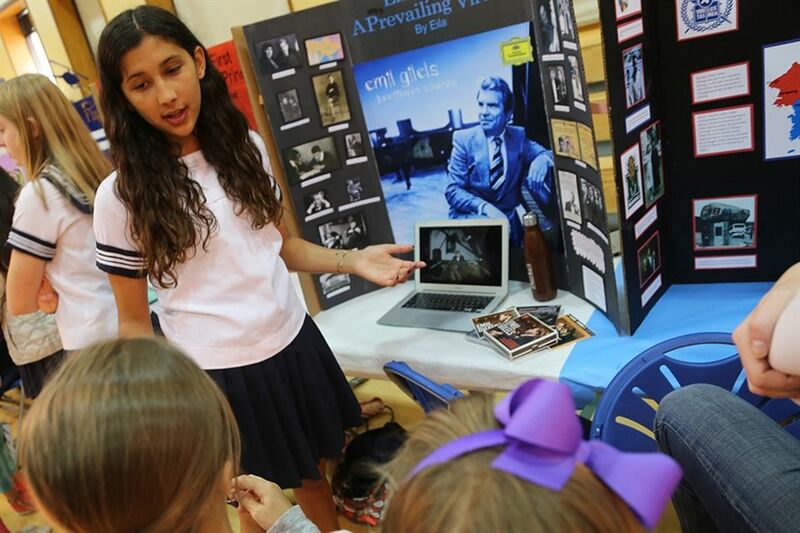 As their entry in the Arts Festival, Upper School Spanish students researched the lives of famous and influential Latinas, then took that information and created stop-motion videos using figurines and other props and the camera function on iPads. They spliced their movies together with voiceovers recorded in Spanish. Seventh graders begin working on their Cultural Heritage Projects each January as a part of their history class, researching their family histories and interviewing relatives. They turn that information into a written presentation and create displays with mixed media — sometimes even food and costume — that are exhibited in the Cultural Heritage Fair each May. Click here to watch a short video of the 2016 fair. A major element of the second grade's social studies curriculum is the Oregon Trail, and Burke's has approached the subject in a number of ways. Students have crafted miniature wagons in the Makery, banded together as families "on the trail" and written journals about their journeys, and even gone out onto our bluetop with yardsticks and string to measure out how truly small those wagons were in real life. 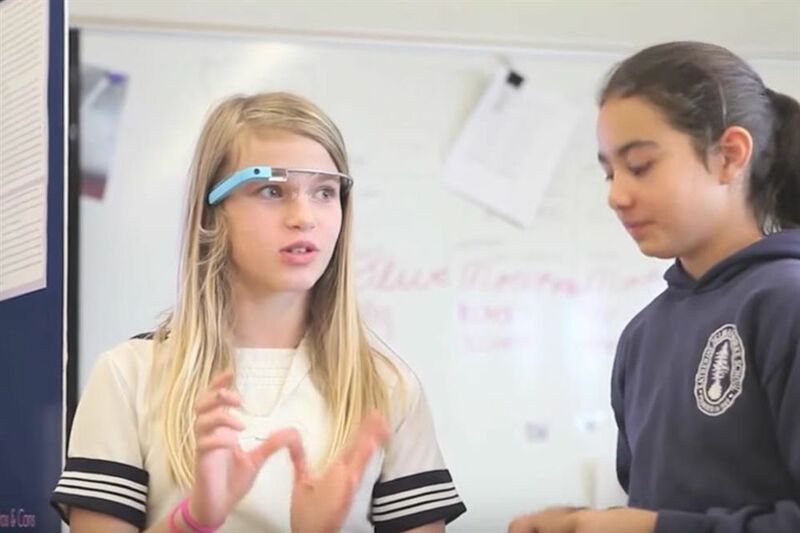 Each year, the sixth grade participates in the national Toshiba ExploraVision project in which they break into teams and design a technology to help with a problem they see on the horizon 20 years in the future. Burke's has consistently placed well in the competition, with a regional winner and four honorable mentions in the 2016-17 school year. 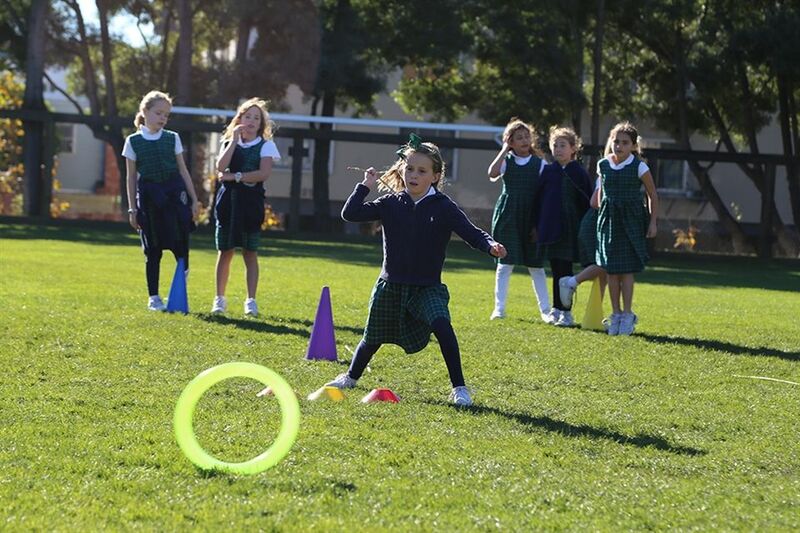 In their science class, kindergarteners learned about the basics of the states of matter through some fun activities. 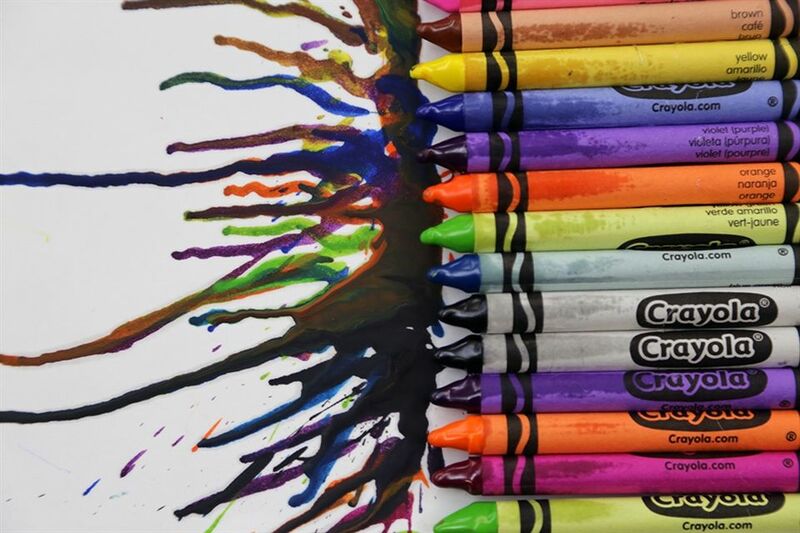 They shook containers of cream (to a fun pop soundtrack) to create butter, froze orange juice into popsicles, and used a hair dryer on crayon arrangements to melt the colors into unique works of art.